Andrew M. Thaler is the founding member of Thaler Law Firm PLLC. 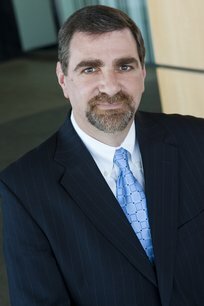 With more than 30 years of experience in the bankruptcy, insolvency, and restructuring fields, his practice focuses on a wide spectrum of matters, including representation of debtors, creditors, trustees, and creditors' committees in commercial chapter 11 and 7 cases, consumer chapter 7 and 13 cases, and various interested parties in complex bankruptcy litigation and insolvency matters. He has represented clients and handled matters in diverse industries, including professional and service businesses, manufacturing and retail companies, and financial institutions. As a federally appointed Chapter 7 Panel Trustee for the United States Bankruptcy Court for the Eastern District of New York since 1990, Mr. Thaler has presided over approximately twenty five thousand bankruptcy cases. In addition to his bankruptcy practice, he also serves as a mediator for the United States Bankruptcy Court for the Eastern District of New York and the Mediation Panel of the Commercial Division of the New York State Supreme Court, Nassau County. Mr. Thaler is active in the Nassau County Bar Association, where he has served as a member of the Board of Directors, former Dean of the Nassau Academy of Law, and Chair of the Bankruptcy Law and Alternative Dispute Resolution Committees. He has lectured on bankruptcy and insolvency topics for the Nassau Academy of Law, the National Business Institute, the New York State Society of Certified Public Accountants, and the First American Title Insurance Company of New York. Mr. Thaler was recently appointed to the New York City Bar Association’s Committee on Bankruptcy & Corporate Reorganization. In 2010, he served as President of the Theodore Roosevelt American Inn of Court. In 2003, Mr. Thaler received the Partner in Justice Pro Bono Award from the Nassau/Suffolk Law Services Committee for his pro bono service to the community. Mr. Thaler founded and was a managing member of the East Meadow law firm Thaler Gertler LLP from 1997-2013. Prior thereto he was bankruptcy department head of the Westbury firm Goldman, Horowitz & Cherno. Martindale-Hubbell has assigned Mr. Thaler a rating of AV Preeminent, its highest peer rating standard. This rating signifies that his peers rank him at the highest level of professional excellence for his legal knowledge, communication skills and ethical standards. Mr. Thaler has been selected to the Metro New York Area Super Lawyers list as one of the top bankruptcy & creditor/debtor rights attorneys in the New York Metro area every year from 2012 to 2016. Each year, no more than five percent of the lawyers in the state are selected to receive this honor. Super Lawyers, a Thomson Reuters business, is a rating service of outstanding lawyers from more than 70 practice areas who have attained a high degree of peer recognition and professional achievement. The annual selections are made using a multiphase process that includes a statewide survey of lawyers, an independent research evaluation of candidates and peer nominations, evaluations and reviews by practice area. ​He has an AVVO Rating of 10- Superb.